A self-myofascial release workshop designed with our patients in mind! This self-myofascial release workshop was implemented specifically to educate and empower our current patients to become an active participant in their own healing and recovery process. We have seen so many positive results including faster recovery times when combining myofascial release with regular physical therapy sessions. 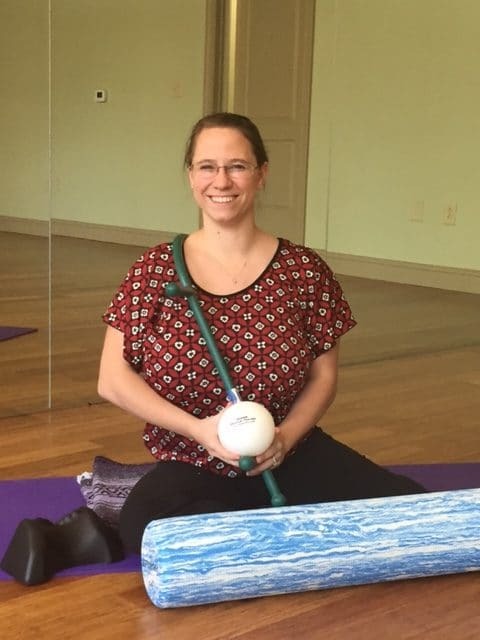 Ashley Friend, PT, DPT and Advanced Myofascial Release Practitioner, will share self-myofascial release (SMR) tips and techniques used everyday by our physical therapists. 2. Why self-myofascial release (SMR) may be effective for you as an intervention for increasing range of motion, enhancing pre/post exercise performance, in alleviating painul areas or trigger points. 3. When to perform self-myofascial release (SMR) and experiment with various tools that will empower you in your own healing process. When: The 2nd and 4th Tuesday of every month from 5:00pm-6:00pm or every Friday 12:15pm-1:15pm. Registration is required. We limit each class to 6 participants in order to provide plenty of personalized instruction.